Whitening mouthrinse with a refreshing taste of sweet mint. Dissolves surface stains and coatings, making them easier to brush off with the REWHITE toothpaste. Developed specifically to effectively remove stains from coffee, tea, tobacco and red wine. 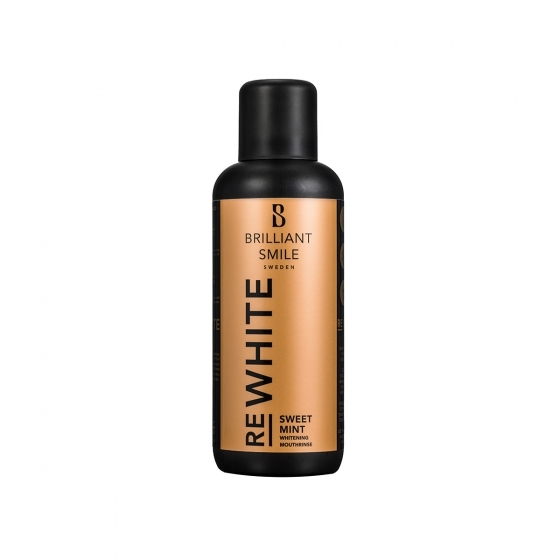 Rinse 10 ml fluid for 1 minute before brushing your teeth, to revive and maintain a white and healthy smile.